The fix is pretty simple & it has nothing to do with your Exchange email account. The problem is with the cached entry on the other person’s Outlook instance for your email address. It’s out of date & needs to be deleted. Simply have the other person do the following: (Again, this is not done on your system but on the PC of the person having the problem viewing your free/busy or calendar. Type in the first few characters of your name – but do not hit enter. This will display a drop down list of all predicted email addresses – including yours. Hover over the entry for your email address. And X will appear on the far right. Click the X. The entry for your email address will disappear. That’s it. Your calendar or free/busy should now be visible to the user. If this happened, and your “entry” changed in the GAL for whatever reason, anyone that can’t download an updated copy of the Offline Global Address Book may run into issues viewing your calendar or free/busy. 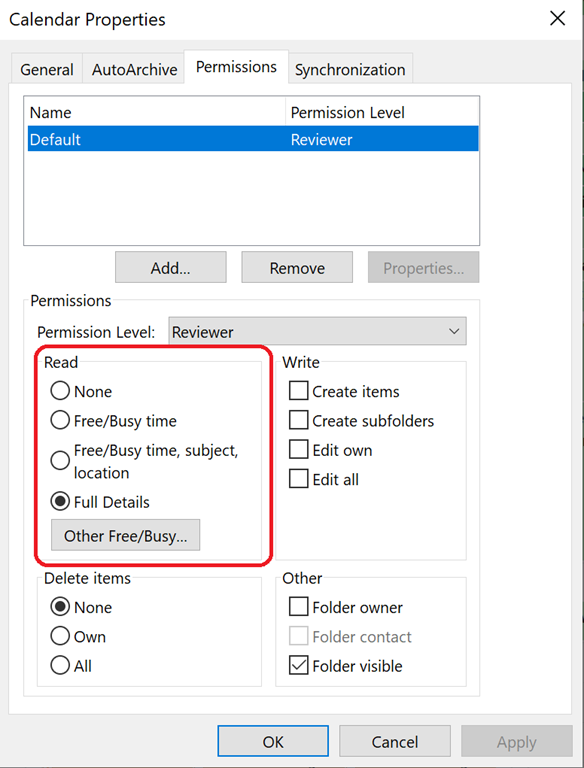 Deleting the cached entry will force Outlook to look up your credentials again from the ONLINE Global Address Book, which it normally doesn’t do because it takes longer time than using the Offline Global Address book.